Think you always have a choice over how to give birth? Think again. When most women become pregnant, understandably they believe the choice of how they give birth will remain theirs; whether to deliver vaginally or through cesarean surgery or where to give birth, at home or at a hospital. Decades ago, those decisions were well within the domain of pregnant patients whose reproductive liberty and autonomy interests gained constitutional recognition in the landmark 1973 Supreme Court decision Roe v. Wade. After all, whose body is it anyway? But what may have seemed clear-cut decades ago, is now put to the test by doctors and lower courts. Decades ago, refusing to undergo cesarean surgery was not a crime. That’s another matter now in the wake of recent “fetal protection” enactments that make it a crime for a pregnant woman to engage in any conduct that might threaten harm to a fetus. Some doctors believe this applies to how a woman gives birth. Melissa Rowland refused to undergo the cesarean surgery recommended by her doctor. She was later charged with murder after one of her fetuses was stillborn. Rowland accepted a plea deal, which made her criminally liable for child endangerment. Three years ago Rinat Dray vehemently protested against the administration of a cesarean section in the birth of her third child. Throughout her pregnancy, she had prepared for a vaginal delivery after prior cesarean, or VBAC. However, on that July evening, according to a lawsuit filed by Dray, hospital staff overrode her refusal to submit to a cesarean. Hospital documents record Dray’s refusal, and also her physician’s decision to ignore that order. In a handwritten statement attached to her file, her doctor informed hospital staff that “I have decided to override her refusal to have a C-section.” Soon thereafter, doctors removed Dray’s third child by c-section. 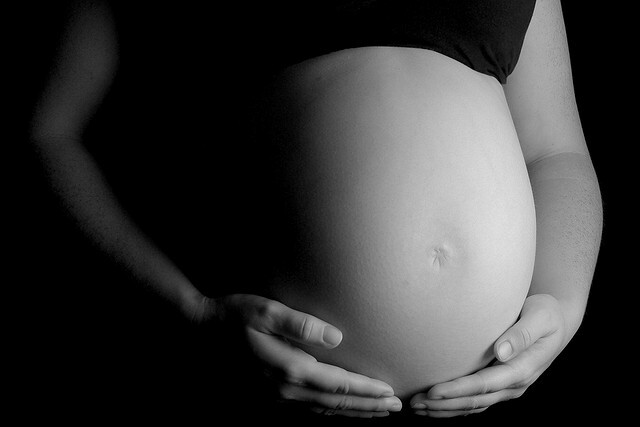 The high frequency of c-sections in the U.S. indicates a disturbing medical and legal trend. Cesarean surgeries are risky medical procedures; they are painful post-operatively and can render the patient vulnerable to infection at the point of incision in the abdomen or uterus. Women can suffer blood clots in the legs or lungs, heavy blood loss, and drug side effects such as migraines, nausea and vomiting. Cesarean surgeries can result in weak spots in the uterus, making subsequent vaginal deliveries risky. The dramatic rise in cesarean surgeries shows not only a disregard for the medical evidence, but of pregnant women’s legal rights. In Dray’s case, her lawsuit alleges that the hospital’s legal counsel signed off on cesarean surgery. The increase in c-section births overlaps with the rise in fetal protection efforts and the dramatic increase in legislation to chip away at reproductive liberty. Between 2011-213, more than 300 laws have been enacted to undermine women’s abortion rights. More anti-abortion legislation was enacted in the last two years than collectively in the 10 years prior. At the same time, states have enacted laws criminalizing pregnant women’s conduct that might pose a risk of harm to their fetuses. Keeping with this trend, the state of Tennessee recently enacted a law making it a crime to be a pregnant drug addict. These legislative movements create the conditions under which doctors claim not only medical, but also legal and moral authority over their pregnant patients to protect fetal interests. Consider the case of Lisa Epsteen. In 2013, when Epsteen indicated that she wanted to wait two additional days for a vaginal delivery rather than undergo the cesarean section recommended by Dr. Jerry Yankowitz, chairman of the University of South Florida’s department of obstetrics and gynecology, he sent the mother of five an email, warning: “I would hate to move to the most extreme option, which is having law enforcement pick you up at your home and bring you in, but you are leaving the providers of USF/TGH no choice.” Fearful that police would soon surround her home, Epsteen contacted her lawyers. Epsteen’s experience is hardly isolated. At another Florida hospital, Tallahassee Memorial, doctors held Samantha Burton against her will and sought a court order to forcibly remove her fetus. A local judge granted the order, imposing indefinite confinement, resulting in the pregnant mother of two being held against her will in a solitary hospital room for three days until her fetus was surgically removed. In Burton’s case, law and medicine intersected in pernicious ways, extending even beyond the physician’s decision to seek an order to confine Burton against her will. Burton was not provided any legal representation at the civil commitment hearing, despite the significant liberty interests at stake. No counsel appeared to address these concerns (and others) until after the forced cesarean section occurred. In a dramatic case involving a pregnant cancer patient, Angela Carder, doctors denied her request for chemotherapy in order to preserve the health of her fetus. Doctors overrode Carder’s objections and forcibly removed her fetus through cesarean surgery. The baby died in two hours. Carder died two days later. In other cases, pregnant women have escaped US hospitals and fled to other states to give birth or delivered at home in order to avoid forced removal of their fetuses. The rise in cesarean surgeries should not be viewed in isolation from other attacks on reproductive liberty. Beyond concerns relating to the right to counsel, forced cesarean surgeries are an alarming illustration of the unconstitutional constraints imposed on pregnant women’s right to security in their bodies. This problematic trend raises questions regarding physical deprivations of liberty and privacy at the hands of those whom pregnant women should be able to trust: their doctors. As a policy matter, we should be concerned that the rush to cesarean delivery encourages doctors to subordinate pregnant women’s interests to the supposed interests of their fetuses in a way that violates these women’s fundamental rights. The numbers for cesarean surgery have not gotten any better over the decades. When I was a pregnant mom at the age of 24 in 1978, I read a very scary book called, “The Immaculate Deception.” This book detailed what mothers in North America go through compared to women in Europe. The medical industry here definitely held the upper hand in influencing the birth rate by cesarean method. Women in Europe most assuredly had much better options than we did, with midwifery being a very long standing institution there. This book along with several other books influenced my decision to have an assisted home birth. I was a very healthy woman and found a chiropractor who was educated in home birth and she worked closely with a midwife who came along on all her deliveries. I had a successful and joyful home birth with both my parents watching and my husband assisting. I’ll never regret that decision and especially so after reading this truly frightening article here. I went onto become certified in teaching other mothers how to have a drug free and conscious birthing experience, whether at home or in a birthing center.